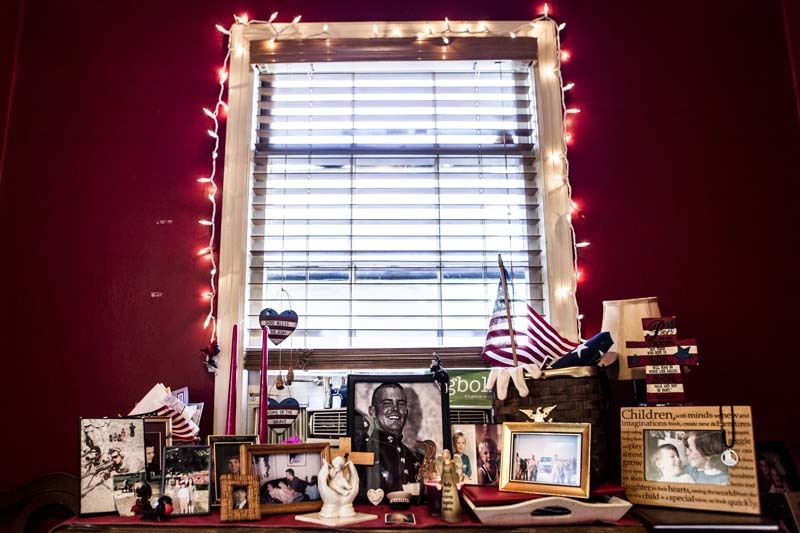 February 21, 2014 - Multiple pictures of Paul from his time as a Marine and from when he was just a child are crowded together on a table in Nancy Oliver's dining room in her him in Memphis. "This is my adoration of my son," Nancy said of all the things in her house honoring her son. "I know he suffered terribly twenty-four-hours a day. It has been an honor to be your mother, Paul Oliver." "He had a beautiful heart. He wanted to get well," Nancy Oliver said about her son, Paul.